What foods can slow down hair loss? Did you know that a poor diet could be one of the reasons behind your hair loss? Yes, you read it. Nutritional deficiencies can result in poor scalp circulation, hormonal imbalances and hair breakage – all of which can lead to hair loss. Here are some foods that you should eat if you want to fight hair loss. Not all hair loss is down to genes. Many times men and women experience hair loss due to nutritional deficiencies. Experts believe that deficiency of protein, zinc and other nutrients can contribute to the weakening of hair shafts, promoting breakage and slow re-growth of new hairs. Lack of nutrition can sometimes lead to hormonal imbalances, which can further aggravate hair loss. So, if you have been noticing hair thinning, taking a closer look at your diet may help slow hair loss and increase hair growth. Hair is made of protein, so if you want to keep your hair stronger and longer you must provide it enough protein. 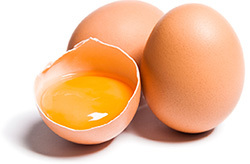 Egg is one of the best sources of protein. Apart from eggs, chicken, turkey and tofu are also rich in natural protein. But if you are vegetarian or vegan, you can include Greek yogurt, kale, peanuts, beans, peas, and lentils in your diet for getting the required protein. 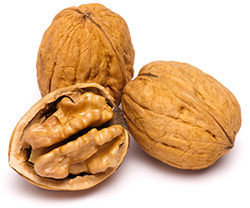 Rich in omega-3 fatty acid, walnut can be great for fighting hair loss. Omega-3 fatty acid is an essential nutrient that reaches the hair shaft and cell membranes of scalp. It helps nourish the follicles, prompting healthy hair growth and adding elasticity to your hair. 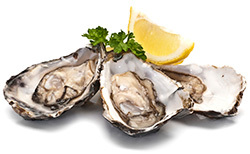 But, the problem is our body can't produce omega 3-fatty acids on its own. So, we need to supply it from outside. Apart from walnut, other foods that are rich in omega-3 fatty acids are flaxseeds, rapeseed oil and salmon. Okay, you already know this one. 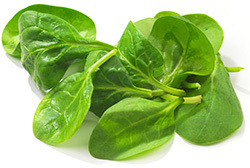 Every time you picked out spinach from your salad, you mom warned you about going bald one day. Didn’t she? Leafy greens are a rich source of iron – a nutrient essential for proper circulation of blood throughout the body (including the scalp). It is due to a deficiency of iron (anaemia) that many women experience excessive hair loss. So, to promote healthy hair, dig into iron-rich leafy greens like spinach, kale, collards and cabbage. One of the richest sources of Vitamin A, carrots can help promote the health of cells throughout the body, including the hair and scalp. Vitamin A is also a powerful antioxidant that keeps hair from drying out and helps in strengthening and thickening them. Apart from carrots, other sources of Vitamin A are sweet potatoes, milk, mangoes, fish oil and dried apricot. Eating brown rice can not only be great for your waistline, but also for your hair. 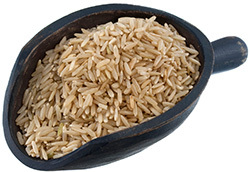 Brown rice is a rich source of magnesium - a mineral that is essential for hair growth. Magnesium helps create strong hair follicles, ensuring that hair strands stay intact for a long time. Experts have also linked magnesium deficiency with hair loss in both men and women. To add magnesium into your diet, you can also eat almonds, cashews and lentils. 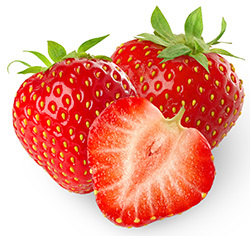 It is high the content of silica that makes strawberries a super food for hair growth. Silica is an important component of hair, as it stimulates hair growth and helps prevent baldness. This nutrient is mostly found in foods that are taken in natural forms as processing or chemical treatment can significantly decrease the silica content of foods. You can also find silica in green and red peppers, millet, barley, wheat, cucumbers, oats, rice, bean sprouts, potatoes, and asparagus. There’s a reason why many women massage onion juice in their hair before shampooing. 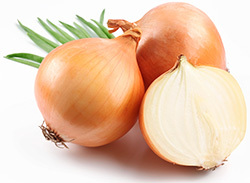 Onion is rich in sulphur - a mineral that is found in abundance in hair. Hair loss is often seen as a first sign of sulphur deficiency. Sulphur is known to boost blood circulation, reduce skin inflammation, and promotes hair growth. Apart from onions, garlic, cabbage, turnips, kale, brussels sprouts, kelp and seaweed also contain sulphur. 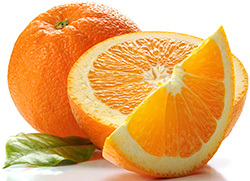 Well, do you really need a reason to eat orange? On a serious note, organs are brimming with Vitamin C, a nutrient that supports hair follicles and keeps blood vessels in the scalp healthy. To reduce hair loss, it is recommended that you combine Vitamin C with Vitamin E as they are more effective when consumed together. Rich sources of Vitamin E are berries, avocado, tomatoes, pomegranate, pumpkin, kiwi, mango, papaya and guava.